Situated just off Paratai Drive this pool effectionaly referred to as Disney Land features a pebble finish, man made rocks with a water slide and a rock pool style spa pool. Built above the natural ground level the structure holding this pool up forms part of an underground car park. Consider the basic advantages of a solid concrete pool. 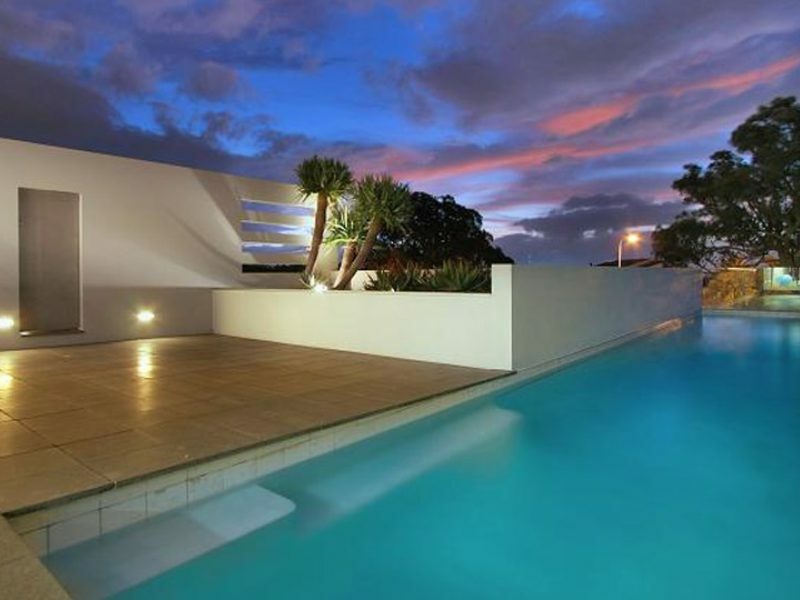 Perhaps the single most important advantage of a reinforced sprayed concrete pool is that it can be built anywhere. In fact, it is often the only practical solution when building on difficult or sloping sites. Because every pool is custom built to suit individual requirements there are few restrictions on the shape, size, depth and internal finishes, enabling you to combine artistic ideas with practical necessities. Custom made concrete pools are still regarded as the standard by which all pool types are measured, in terms of design, durability and property appreciation nothing compares. The life expectancy of a concrete pool beyond a shadow of a doubt far greater than other forms of construction, each pool is individually engineered and has a structural certificate of no less than 50 years. In this plastic throw away world that we live in today, only concrete is guaranteed to give you the strength, permanence, flexibility of design and protection your investment deserves. 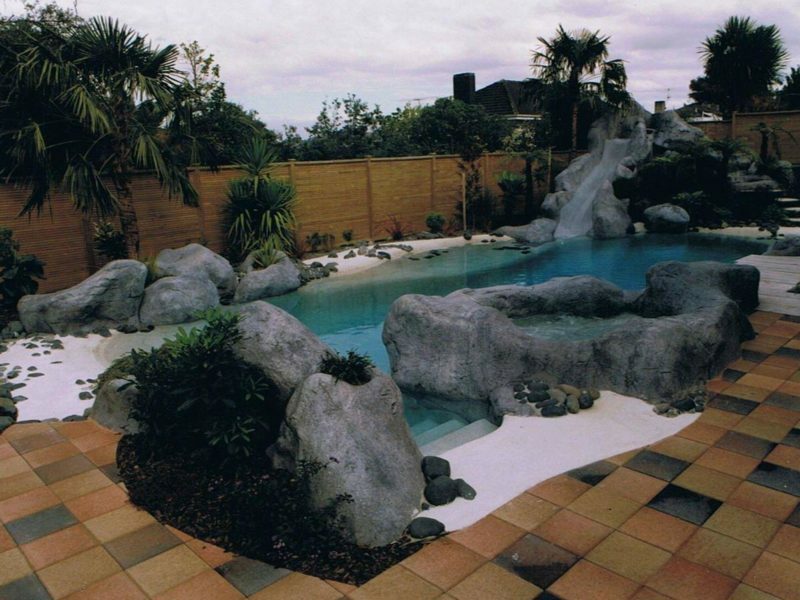 For a no obligation free quote, call or email us on info@pacepools.co.nz. Hours of contact: 7am to 6pm, Monday to Friday.